Despite babies being the smallest members of the family, the mess associated with them is surprisingly mammoth. 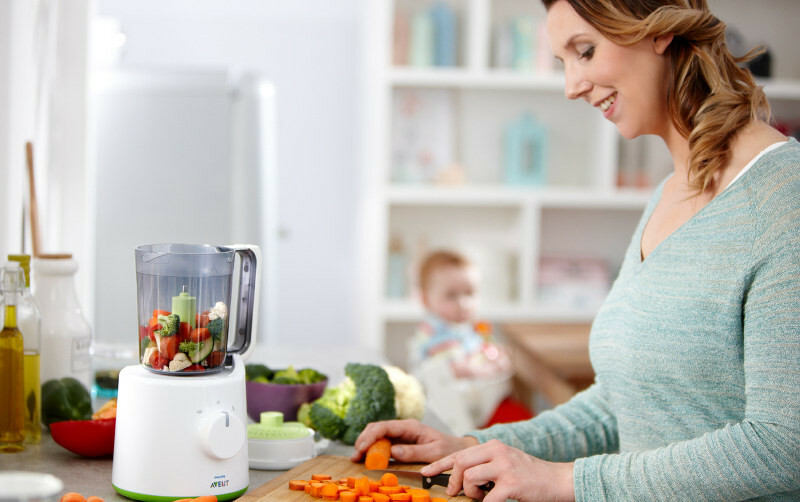 Think of this nifty little gadget as a mini chef in the kitchen, that will not only whip up brilliant meals for your baby, but cut cleaning time. It’s pretty much a win-win! I love the sense of excitement that comes with the youngest family member making the foray into solid food. It’s like a whole new world is opened to them, and you get to indulge in a little culinary mastery on the smallest scale. But these small meals can be deceptively time-consuming. 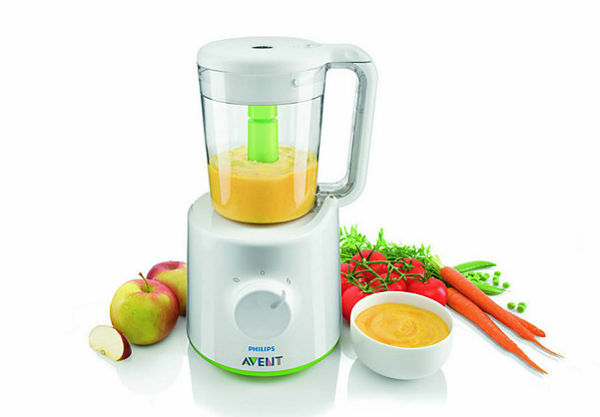 The Philips Avent Combined Steamer and Blender does away with needing a double boiler on the stove top, and a blender at the ready to purée foods. It does it all, in one handy appliance. 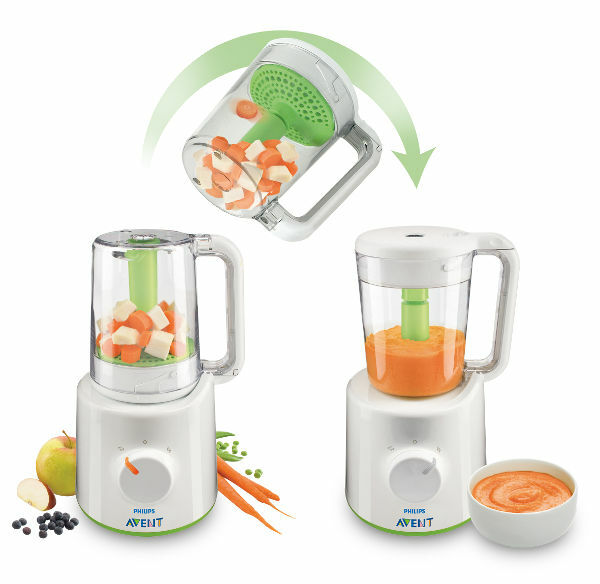 Just steam fruit, vegetables, fish or meat in the Philips Avent Combined Steamer and Blender, then flip over the jar to blend. All cooking liquids are retained, and can be incorporated back into the jar when blending, which means precious nutrients aren’t lost. It’s a great way to try different food combinations, and find out what your baby likes. It’s also perfect for introducing your baby to a wide variety of foods, which can set them up for a lifetime of healthy eating habits. The Philips Avent Combined Steamer and Blender comes with a measuring cup, spatula and recipe book so you can get cooking as soon as you unpack it. You can control how much each combination is blended, so when baby moves on to more chunky meals, just blend a little less. 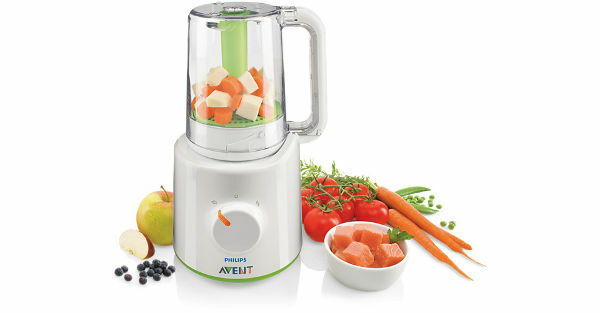 To find out where you can purchase a Philips Avent Combined Steamer and Blender, head to Philips Avent.